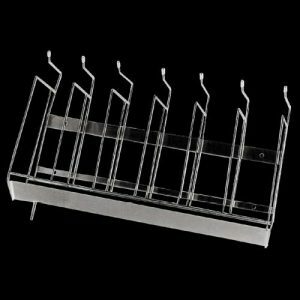 The Hospital bedpan & bottle rack (Franke model BR) is available in three different sizes and is designed to hold plastic and stainless steel bedpans and urinal bottles. Please see column below for the different models available. They are sized according to the amount of pans and bottles they can hold. The rack is manufactured from grade 304 (18/10) stainless steel, 8 mm diameter round bars and stainless steel flat bar mounting brackets. The Hospital bedpan & bottle rack is supplied complete with a stainless steel drip tray which can be removed for cleaning and the ends of the bottle rods are fitted with rubber grommets. Unit fixed to wall with 4 off anchor bolts (bolts specified elsewhere). Bedpan bottle rack models. Custom lengths can also be made. Please note: This is a non-stock item. All orders have a lead time of 22 working days. When requesting a quote, please specify the product codes as listed in the tables above.